This is getting quite ridiculous. After a great 2015, Lego seems to have caught some form of megalomania. 2016 had more extremely big sets than ever before. This year saw the release of the Death Star, which at 5499 SEK is the most expensive (new) set ever. Then there’s the Ghostbusters Firehouse HQ and the Disney Castle both at 3799 SEK, the Porsche 911 GT3 RS at 3199 SEK, the classic Batcave at 2999 SEK, Assault on Hoth for 2799 SEK, Big Ben at 2499 SEK and the Minecraft village at 2399 SEK. Of course it’s unlikely that anyone cares enough about all of those themes to get all of them, but still! Either way, it was a very good year even if many of the aforementioned big ticket sets were disappointments. 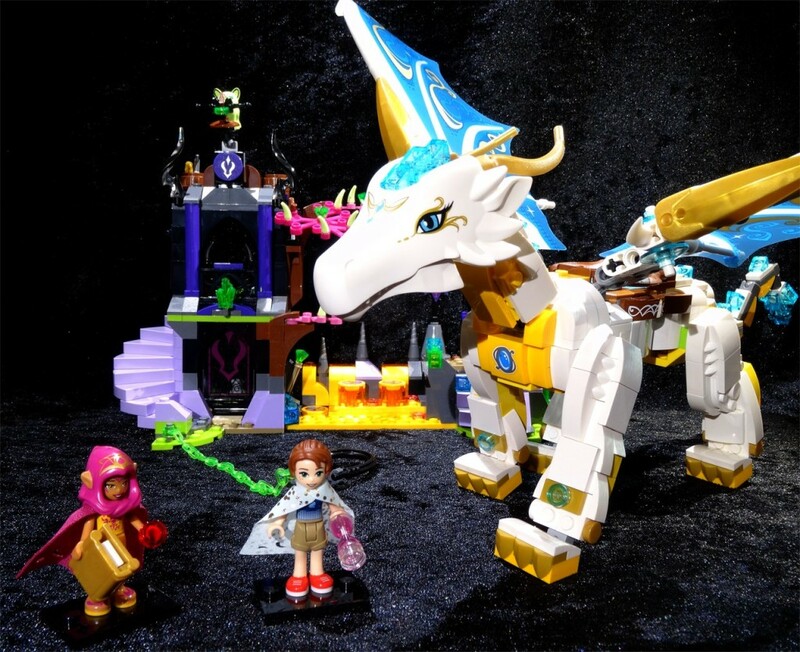 Nexo Knights proved to be an interesting new line and Elves released the fantastic dragons (and where to find them). Even Ninjago had a ton of cool stuff, and the Creator line had lots of really great sets. And being a casual Marvel fan proved extremely expensive with both fantastic Spider-Man, Doctor Strange and Civil War sets. The first big minifigure pack for the City theme may be overpriced, but included many firsts – the first Lego wheelchair and the first generic baby mini-minifigure (although the Series 15 collectible minifigures also had the Native American woman with a baby on her back). This was the best of the Nexo Knights sets and the only one I still have built. The mech looked great and had neat articulation, and also came with the cool King Halbert. This was actually, brick by brick, a better set than the original Ecto-1. The minifigures were awesome and the car functioned much better. It doesn’t have that nostalgia working for it, and I’m afraid that the unfair failure of the movie worked against this great set. Three great minifigures and a neat little diorama do much to help this set stand about amongst superhero sets, but the very best part of this set has to be the moving tentacle nightmare that might not be accurate to the movie, but adds so much character to the set. This huge set was uncharacteristically detailed and solid for a superhero set. Although you would optimally need two, it would fit well in a city. Unfortunately it doesn’t fit in mine, so it will become a parts donor. But there’s some great figures in this set, and I got it really cheap, so I can’t complain. 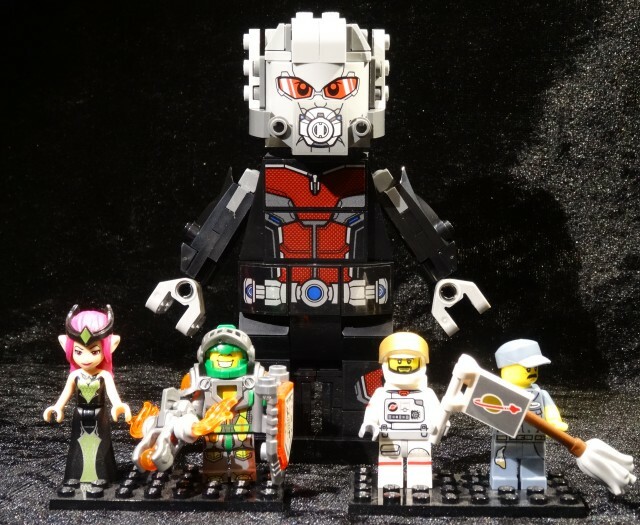 Okay, this is possibly cheating, but the idea of making Giant-Man not a standard ”bigfig” but actually a brick-built larger version of the original figure, was genius. I want all large figures to be built this way from now on. Ragana continued the tradition of great Elves minifigures. I didn’t end up getting her castle, but bought the figure separately. Her evil is a great addition to the rather fluffy Elves universe, and I love how she has a couch to sit and eat chocolate. It was a close battle between him and Macy, but Aaron won out because of that infectious smile. I like how the Nexo Knights are practically World of Warcraft minifigs with all kinds of oversized weapons and armor. Unfortunately season two seems to add the same figures all over again, just like Ninjago, so there’s little reason to collect the gang again. The Series 15 Astronaut was kind of a remake of the Space Man from Series 1, but with a more realistic theme that still managed to have some Classic Space references. And finally possibly the most useful figure ever, the Janitor. The Lego universe is packed with super heroes and other people who tend to make a mess, and so there’s always room for a surly janitor who has to clean up the mess afterwards. All the dragons were great in the Elves theme, but if you’re only getting one, it has to be the Queen Dragon’s Rescue. Not only does it have the dragon herself, it also has a cool little build with tons of play value. The figures aren’t too exciting as both of them are repeats of the Fire Dragon set (which is also great), but this is still highly recommended. Oh, and you get a fel fox with a crossbow. Okay, this may be a very subjective choice, but I can’t appreciate enough how awesome it is that we got official Beatles figures. 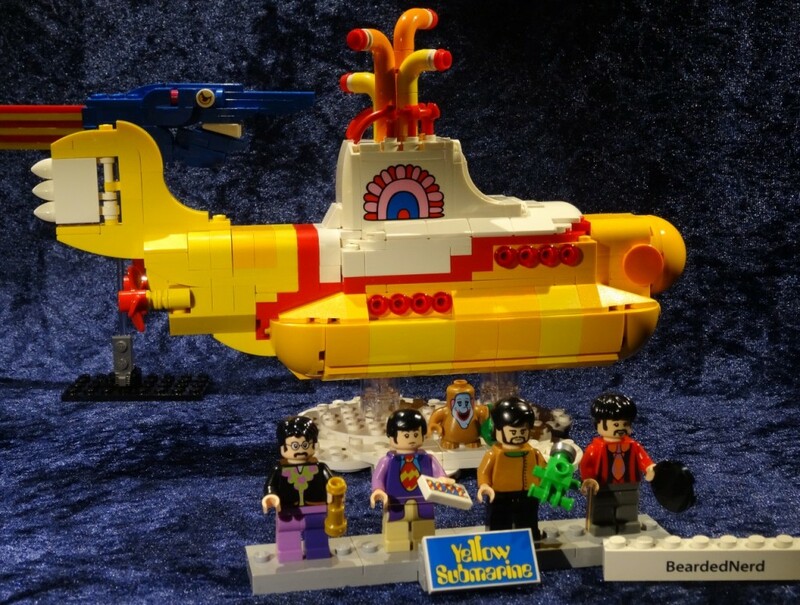 It would have been better to get something more iconic like the Sgt Pepper variations, but these cartoony versions are also great. And the submarine itself is instantly recognisable and manages to create all the curves with some inspired parts choices. Any other year, this would have been number one. 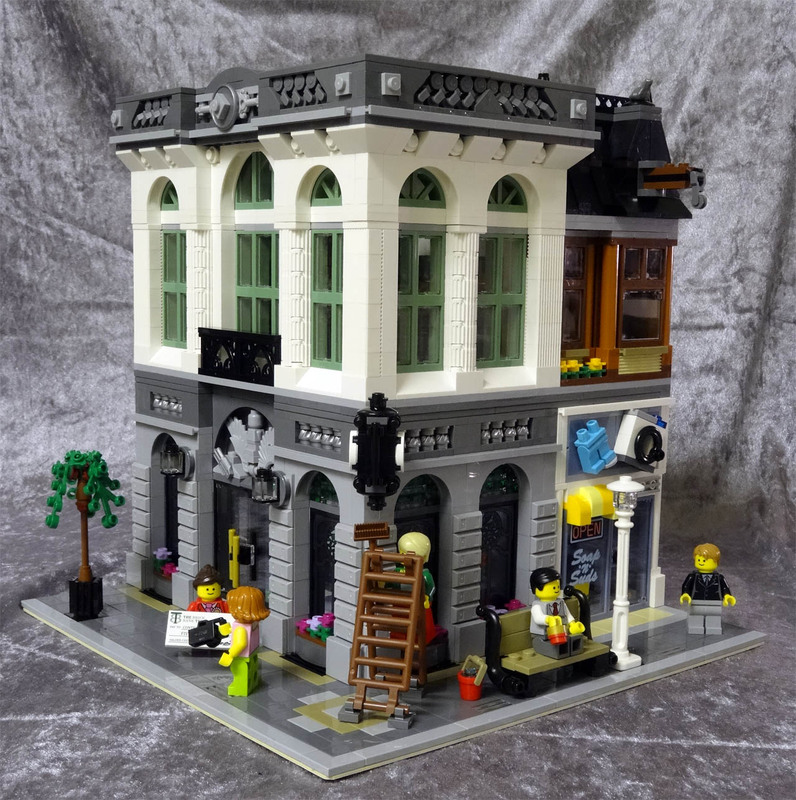 Getting a huge, super detailed copy of the iconic building was entirely unexpected but very welcome, and the build was great. 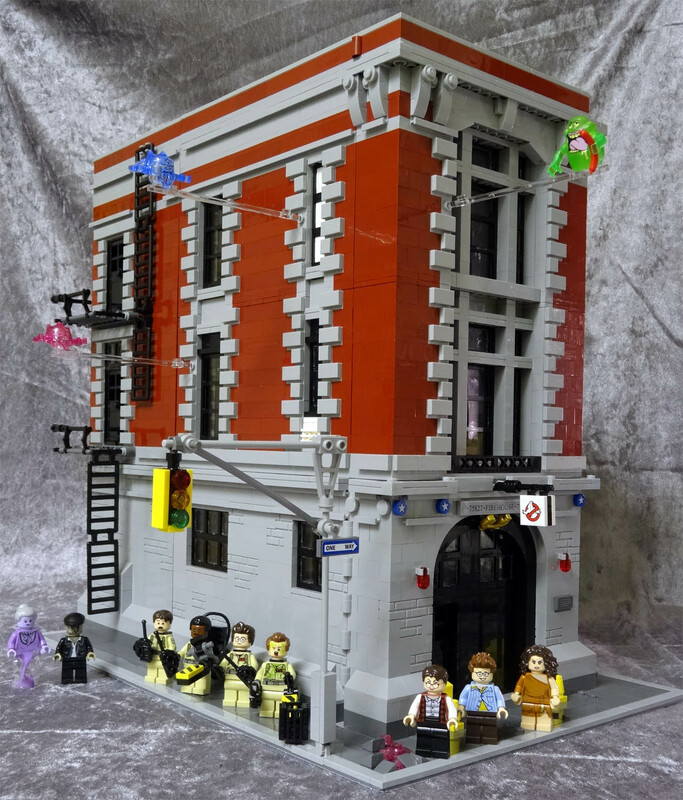 All the classic scenes are available and the Ghostbusters themselves are improved over the Ecto-1 set. It’s only missing a Walter Peck and Gozer – which probably aren’t ever going to happen now. 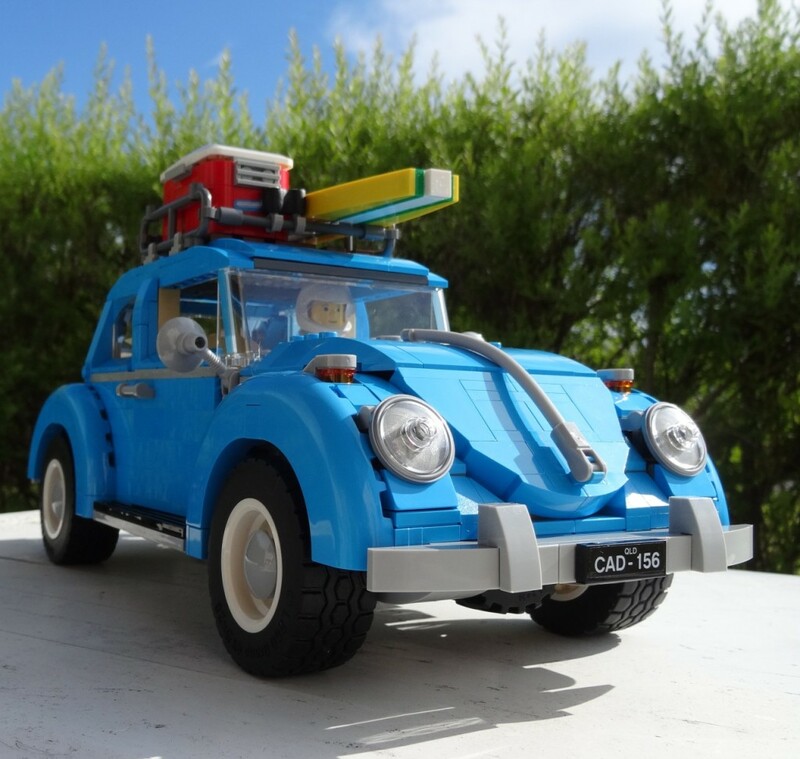 This set inspired me to get the Volkswagen Camper Van which was a great set in itself, but this knocks it out of the park, just like most Lego sets ever released. With only one new specific part, they managed to recreate most of the curves of this iconic car, and the build is constantly throwing out new techniques and neat ideas that I would never have considered. At a reasonable price, with tons of parts in new colours, this is worth buying at least once, if not twice or more. Det här inlägget postades i International, Prylar och har märkts med etiketterna Lego. Bokmärk permalänken.